New to the market for 2016, the Redington Hydrogen family of rods touted to be the lightest in their class, are a fine-tuned, medium-fast action is combined with the lightest weight components available to give anglers incredible performance with a light in-hand feel. We can vouch for this as they are incredibly ight which leads to the question – are they durable? We were fortunate enough to get our hands on the Hydrogen 11′ – 3 weight – 4 piece as well as a 10′ – 3 weight – 4 piece about a month before their release date so we could put it through its paces Euro Nymphing. Right out of the tube, you definitely notice the skeletonized reel seat which looks pretty cool yet it functions just like any other reel seat. Due to the lighter weight in the rear of the rod, we needed to get a slightly heavier reel (we used a Hatch 5+) to make the 11′ – 3 weight balance but not a huge deal. The 10′ version balanced well with a Sage 4250 reel. Now down to the fun part – fishing this rod!! We ran the RIO Euro Nymphing line on both of these rods with a combination of flies as well as weights of flies to see how it would perform with a single as well as multiple nymphs. We also fished the flies close under the rod tip as well as at distance to guage how the rod would cast the thin diameter nymphing line. We also rigged up a dry/dropper and dry/double dropper still fishing the RIO Euro line so we could test out ability to just switch flies instead of having to grab a dry fly specific rod. First impression fishing single and multiple nymphs right under the rod tip was a good one. The suppleness of this rod delivered the flies accurately and recovered quickly so you could gain control of the drift which is key when fishing close as the takes can be fast and furious sometimes. Next we sent the flies a little farther out into the river, fishing over a faster current which proved to be where the action of this rod really came into it’s own. The rod loaded well with just the leader/thin diameter line and delivered the flies right where we wanted them at the 20′ to 40′ range. Dry/Dropper fishing was probably the most fun we had with this rod as it would cast that thin diameter line with ease even at distances of 30+ feet and hover the line off of the water increasing your drift time before it began to drag. Close or far, single or multiple dropper rigs were handled with ease!! The best part of this rod was the sensitivity as you could feel every little bump on the bottom and the takes were transmitted so well, there was never a doubt between bottom and fish. We were surprised as typically in this price point, sensitivity is not as good as the Sage ESN due to the lower quality graphite that is used on the price point offerings. Once hooked up, the rod played fish well with very little bounce off’s as the slower action prevents the tip from recovering super fast which is a big plus for little fish that like to jump all over the place. If you are in the market for a Euro specific rod that will perform with the best of them yet will not hit your wallet as hard, the Redington Hydrogen is one of the better choices out there. 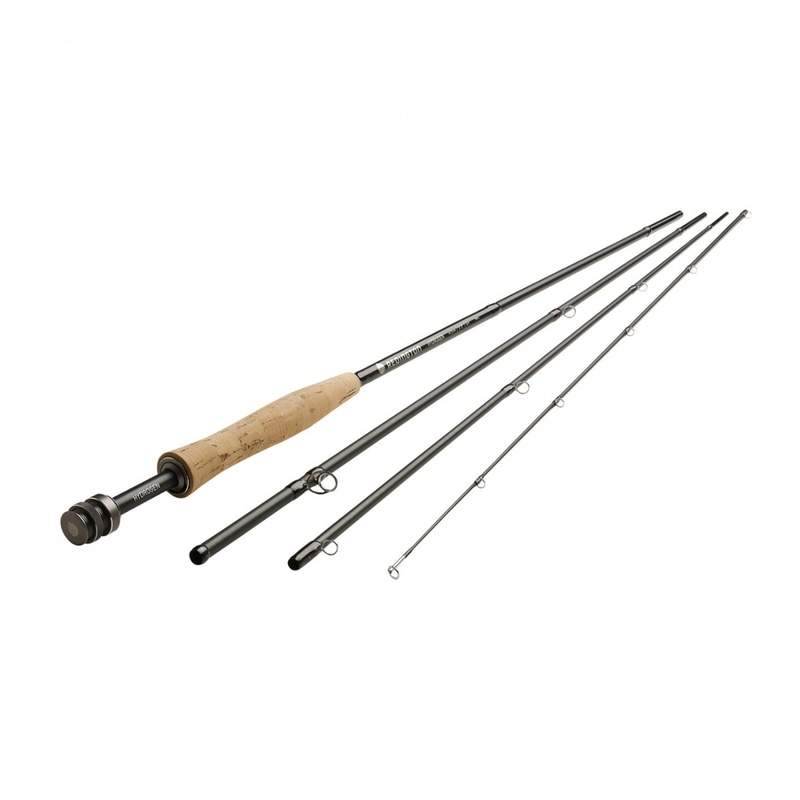 At $299.95, you can buy two rods for the price of one of the higher end offerings.